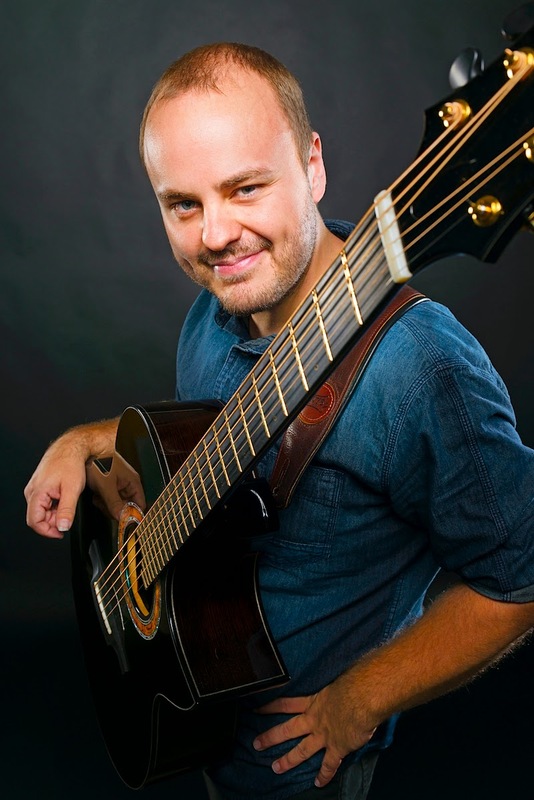 His inventive acoustic guitar playing has garnered Andy McKee millions of YouTube fans. But his latest EP, "Mythmaker," features McKee playing electric guitar and piano as well as his trademark acoustic guitar playing. McKee will perform at 7 p.m Sept. 21 at SPACE, 1245 Chicago Ave., Evanston. Tickets are available by going to www.ticketweb.com. I had the chance to talk to McKee about the upcoming show. Q - Great talking to you again. Of course, you are touring in support of your new EP, "Mythmaker," which features you playing electric guitar and piano in addition to acoustic guitar. What made you want to do something different on this EP? Are you happy with how the EP turned out? I'm really happy with how the EP turned out. It was great to break out a little bit from the strict solo acoustic guitar thing and it's something I'm sure I'll do at least a bit more of as my career continues. At this very moment though, I am completely enraptured with Michael Hedges' music again. I mean I guess I always am, but at the moment I'm going through a particular fascination again. I'm hardly listening to anything else! Q - The piano piece "June" is dedicated to your mother and grandmother. What was their biggest impact on your life? Well my mother pretty much raised me, my parents divorced while I was quite young and then my mom and brother and I moved to New Mexico for a few years so she was a very strong guiding force for me. She taught me a lot about empathy, and still does. My maternal grandmother passed away before I was born, sadly. I wanted to write a piece that was somber but reflected hope as well in some way, in her honor. Her name was June. Q - I understand that you've also created your own label called Mythmaker and that you plan to release your own music through the label as well as release music from other artists. What are your goals for the label? Are there any specific artists you would like to sign? I would love to have the Mythmaker label be a place where people can find creative and entirely unique musicians of all kinds. It's been trickier than I thought, but we are in talks with some people at the moment about making it something substantial. I'd love to have some real creative guitarists, electronica musicians, hammered dulcimer, shoot anyone writing great original music really! Q - How are you balancing music with raising a 3-year-old? What does he think about your music? The main consideration has been balancing touring with family life. What we've been trying to stick to is two weeks on the road and two weeks at home. I've been home most of this summer as well, aside from a quick trip to China for a handful of shows. So far so good! Oh and I've also got a 1-year old now too. My wife has been using my tune "Lumine" to help them calm down and go to bed lately, so much so that they ask to hear it at night. I guess you could say they like what I do so that's nice! Q - In 2012, you toured with Prince in Australia. Was that a highlight of your career? What attracted Prince to your music and what did you learn from the experience? Yeah, that was unreal. I never could have dreamed someone like Prince would be a fan and would be interested in playing together. He saw my music on YouTube like most folks that are aware of me. His personal favorite was "Rylynn." Anyway, it was really amazing to play with him and the brilliant musicians that make up his band in front of like 20,000 people for three nights in a row in each city. Just crazy. Ultimately though, I think I prefer writing and arranging my own tunes or interesting covers than being someone else's guitar player. We never really got a chance to work on anything new, it was more just learn these tunes and let's go play. Perhaps if we work together again we can take some time to develop some really interesting stuff! Q - You are considered a guitar master. Do you consider yourself a guitar master? No, absolutely not. My secret is that I'm really not that great at the guitar. I mean, I can write some interesting music and play it for people but I really, really don't feel like a guitar master. It becomes obvious when I'm asked to "jam" or improvise with other players. I'm OK at it, but it's just not my strong suit. For me, the guitar is more of an outlet for the music I hear in my head. I don't look at it as something to be mastered. It's just a tool to say the things I don't have words for. I think there probably is no mastering the guitar, but if you want to see someone who's got to be really close, take a look at Tommy Emmanuel! Q - Why do you think your music has connected with so many people? How do you see your music evolving in the future? This is something I think about a lot and well; I should first say that I am humbled and very honored that my music has meant a lot to some people. That's something that can never be taken away and when I am 80 years old, I can look back and be quite happy knowing I accomplished that with my life. Some of the messages I get on Facebook are so touching; from people using my music to deal with loss or drug addiction, to people naming their daughters Rylynn. It means more than all of the professional accomplishments to hear things like that. When I write music, I try to put myself in there. I try to express myself as best as I can. I like to think that I've succeeded in some of my tunes and that's what people are connecting with. As for what the future holds, I can't say. I'm currently studying composition a bit in my free time. I'm kind of wanting to explore new directions in my writing that is a bit more unconventional. Perhaps less of a "pop-song" format in my music (verse,chorus, bridge etc.). We'll see what I can come up with!